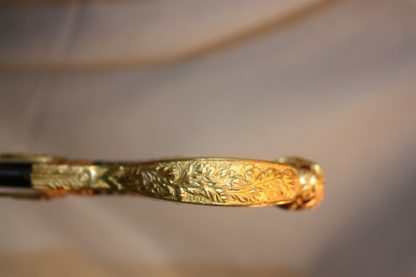 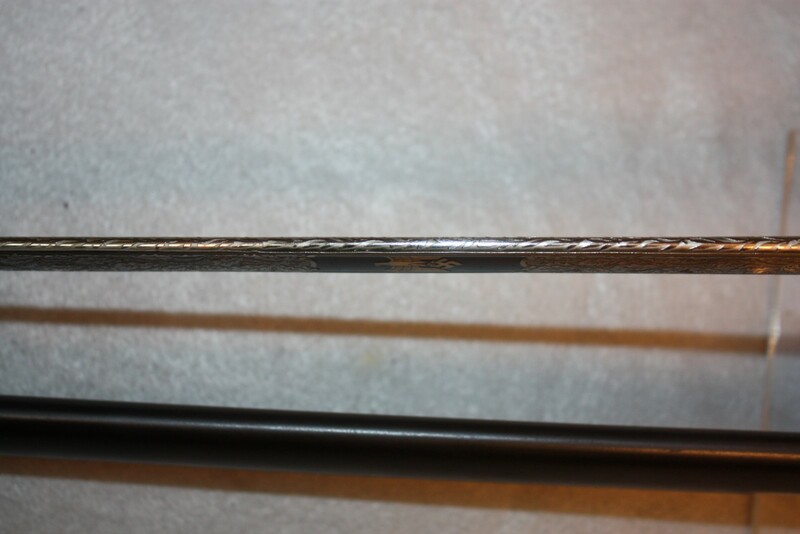 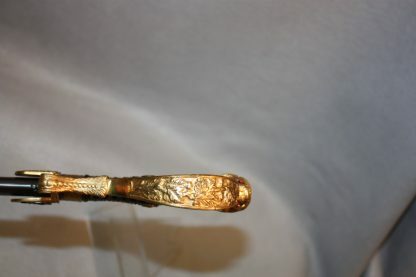 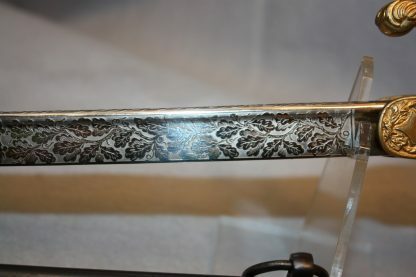 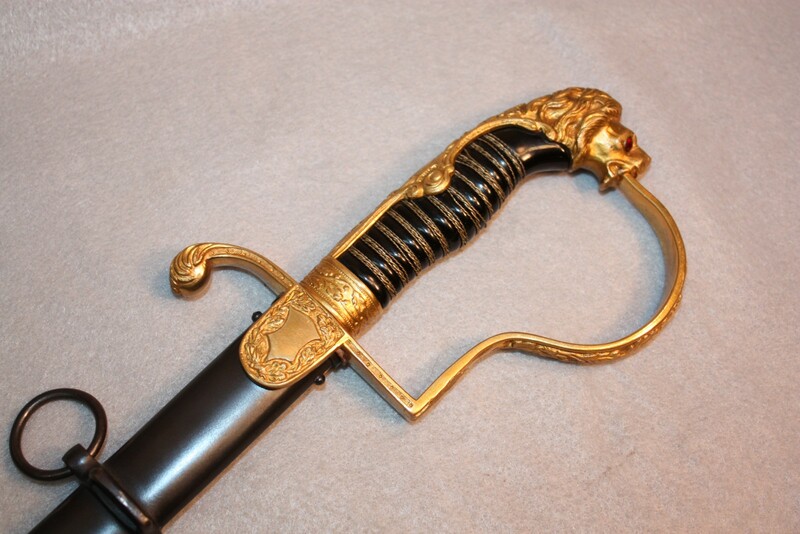 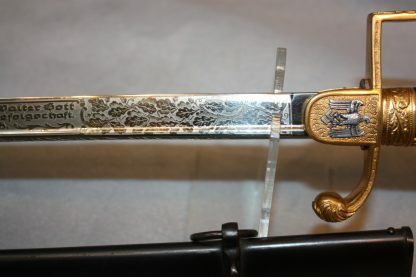 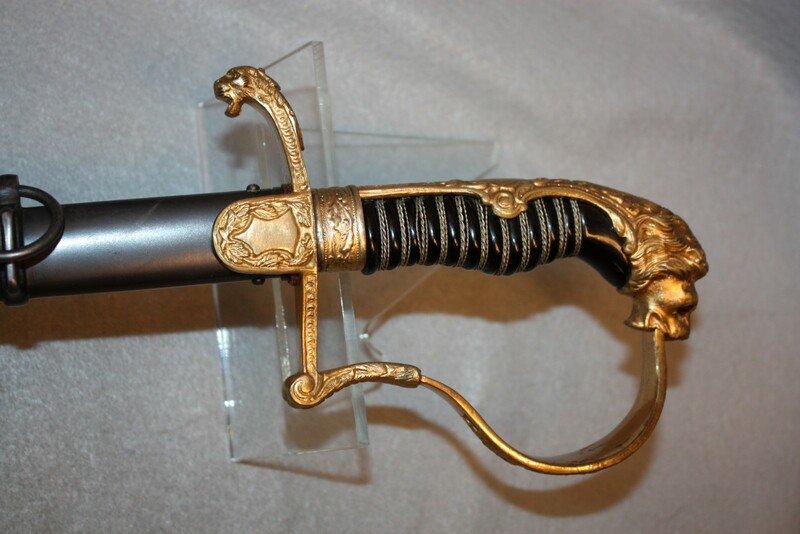 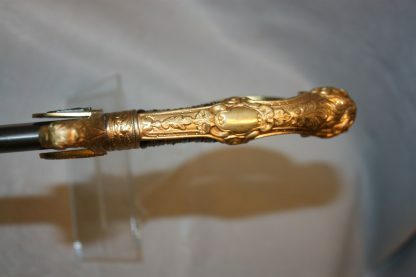 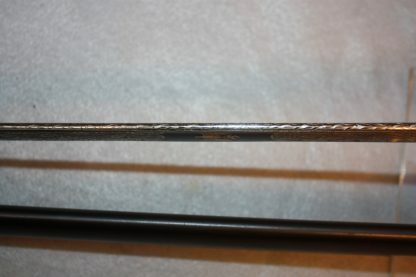 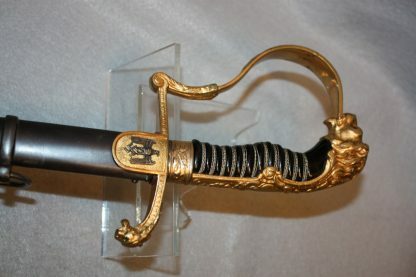 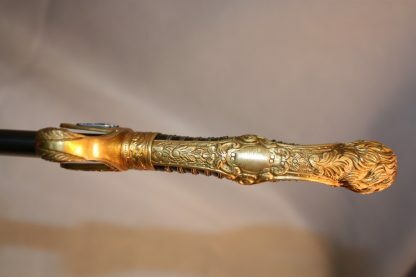 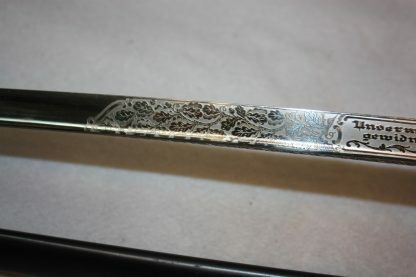 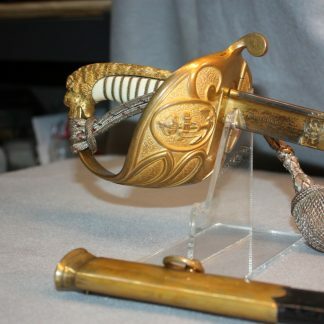 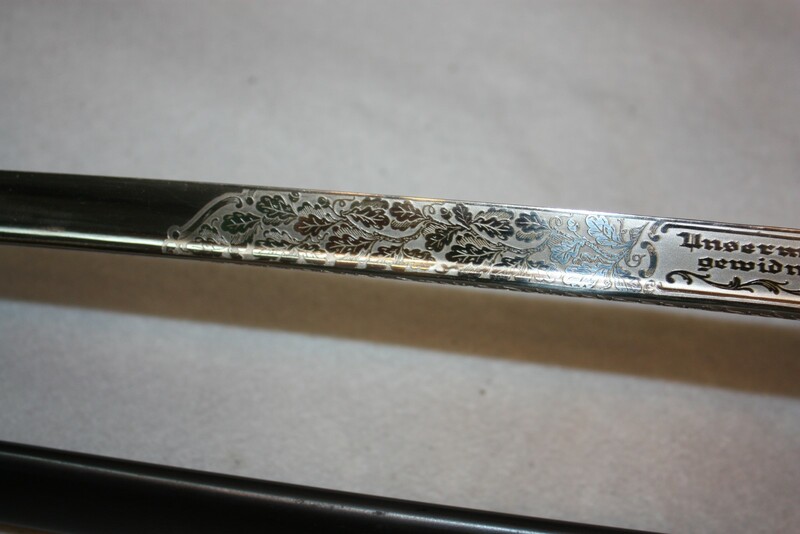 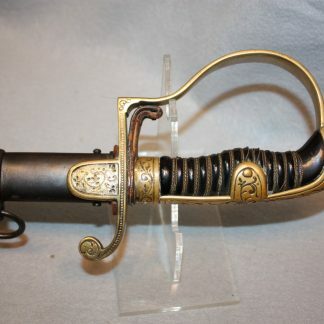 Lion Head Army Officers Engraved Sword – Military Collectibles, Inc. 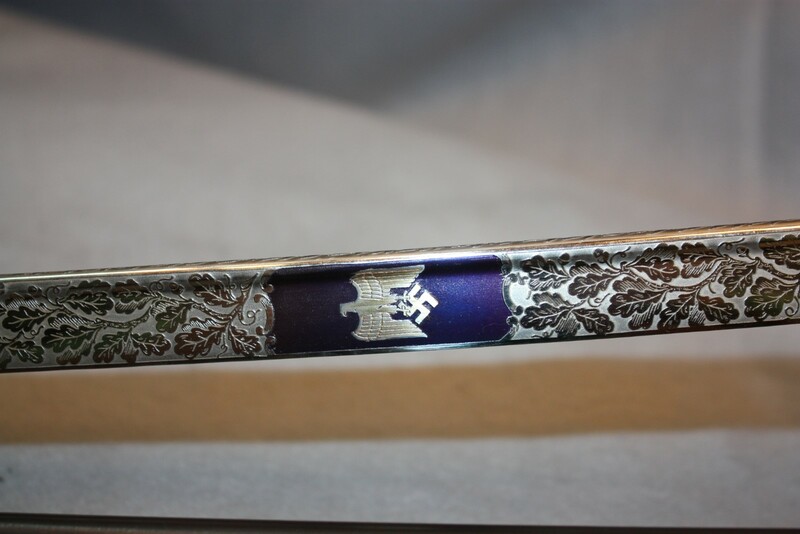 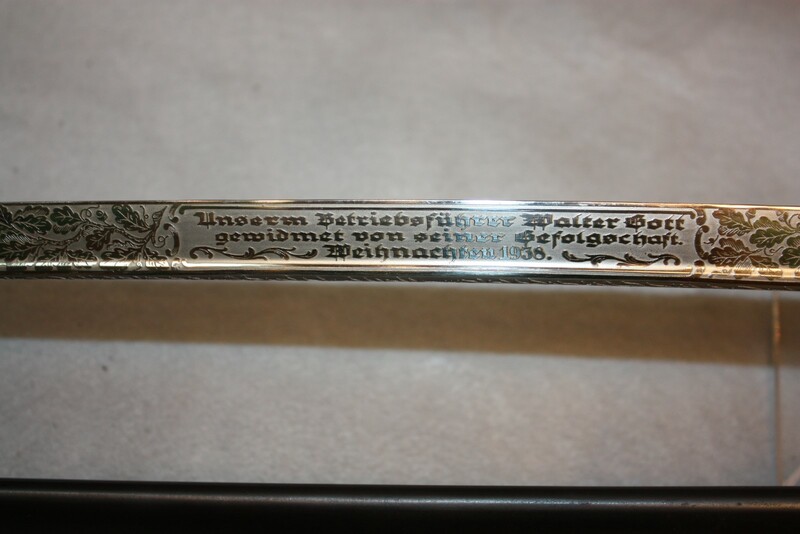 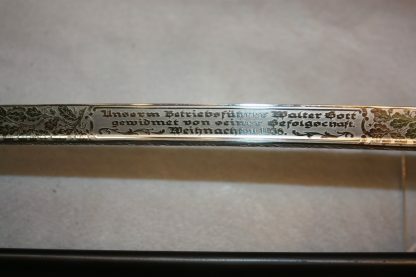 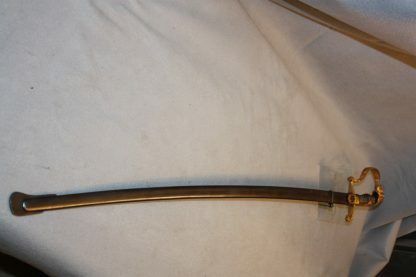 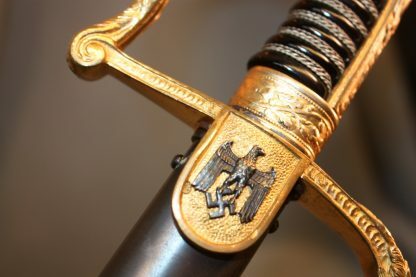 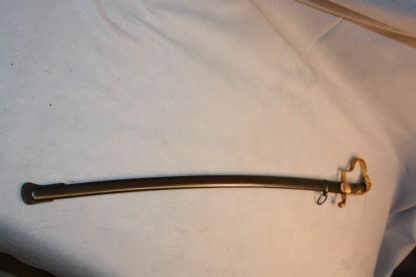 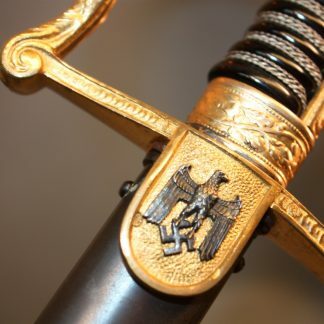 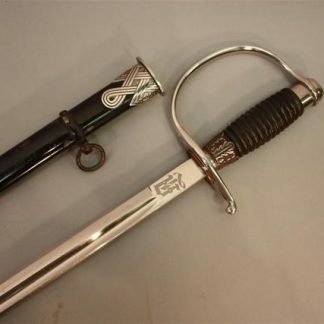 This sword is a Christmas gift for 1938. 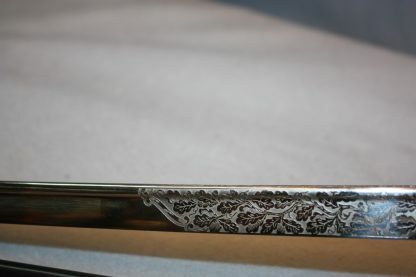 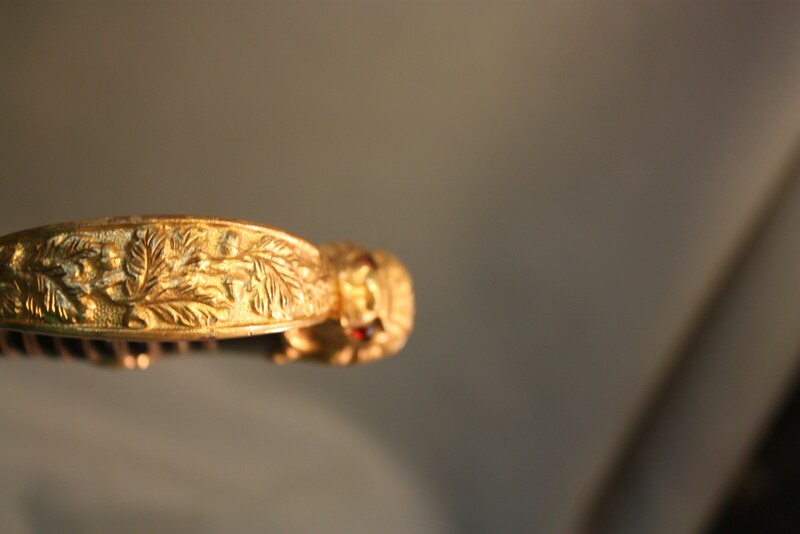 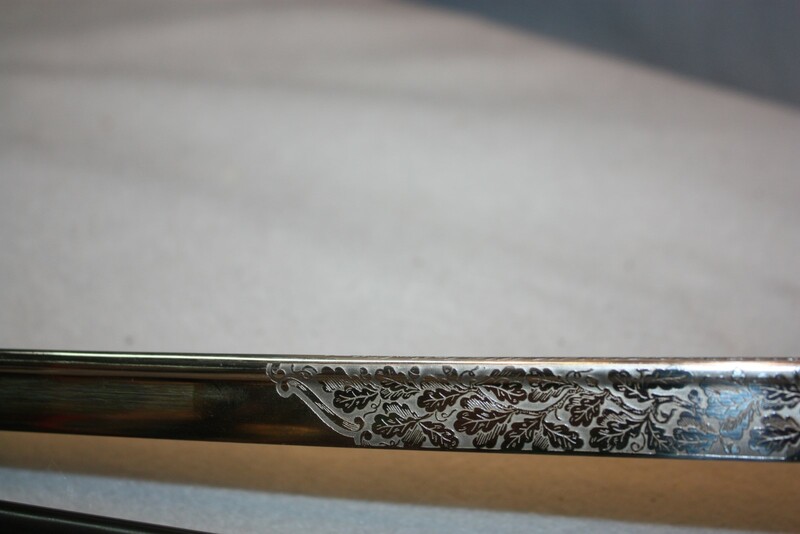 Engraving is done in a deep etched oakleaf and acorn pattern. The reverse you have a stunning blue panel with an Army eagle clutching a swaz. 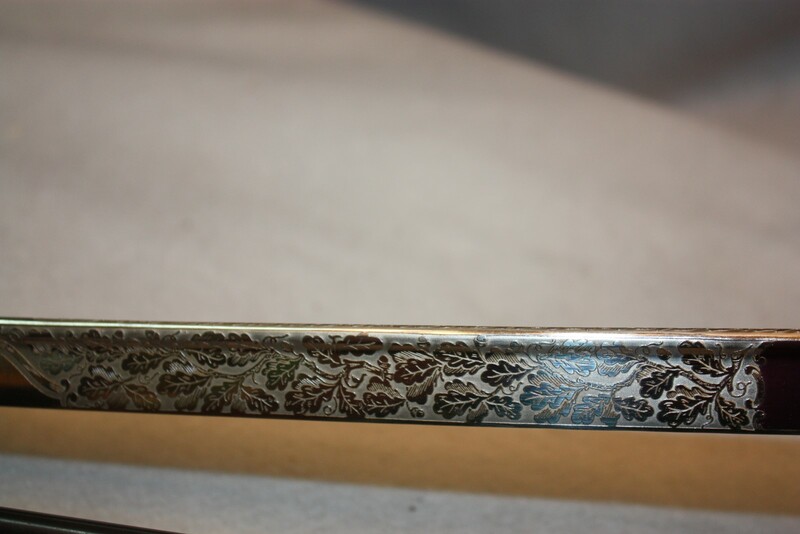 The spine is done in the usual laurel leaf pattern. Looking on the reverse of the langet you can see how the eagle was attached. 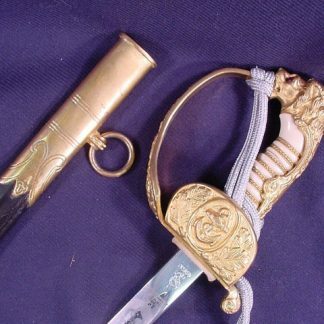 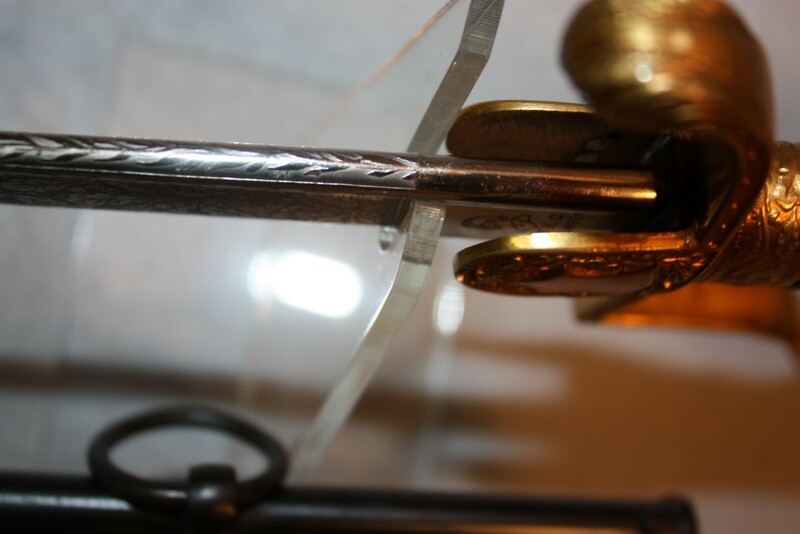 The gold rates at 100% and the wire wrapped handle is perfect. 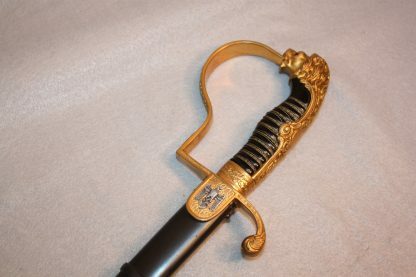 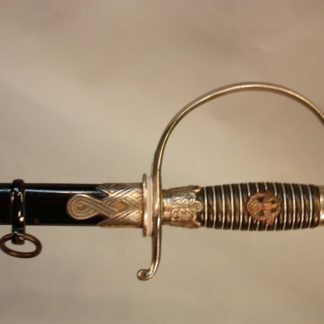 Comes with a beautiful blued scabbard.